Very few online poker rooms currently offer no download Razz Poker. Instead, you’re forced to download the poker site’s software and install it on your machine in order to play the game. 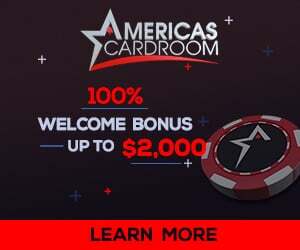 If you spend most of your time at home and don’t mind the resource hog, playing Razz Poker through the poker room’s software may be a good option. On the other hand, by playing it online, you’ll be able to enjoy the game wherever you have an online connection. Below, we’ll give you a “Quick Start” guide to getting started with no download Razz Poker. We’ll explain the basics, including the rules and gameplay. You’ll also find a series of important tips to keep in mind while playing the game (these tips will improve your results at the tables). Lastly, we’ll provide our recommended list of no download Razz Poker sites. Razz is almost identical to 7 Card Stud Poker. There’s one main difference: the low hand wins. Each hand begins with players receiving two hole cards (face down) and a single upcard. This is followed by the first round of betting. The hand continues with three more upcards dealt to each player. A round of betting occurs after each upcard. Finally, the last card is dealt face down, followed by a final round of betting. Note that while there are only four rounds of betting in Texas Hold’em and Omaha, there are five rounds of betting in Razz Poker. – Aces are always low. – Straights and flushes are not counted. – Pairs work against you. – The best hand you can have when playing no download Razz Poker is A-2-3-4-5. The player with the lowest-ranking hand wins the pot. The low-hand ranking system (called “Aces to Five”) in Razz confuses new players. A lot of times, beginners grow impatient and start loosening up their game. That’s a bad move. It will punish you in the end. Be patient and use the following three quick tips to sharpen your game. Similar to Holdem, riding strong starting hands is critical. Your first three cards should be low, preferably under seven. If one of your starting cards is an eight or higher, fold. And of course, if you’re holding a pair, you’re off to a shaky start. Better to cut your losses. If you’re holding a low starting hand, play aggressive. Jam the pot upfront. The reason is because your hand can deteriorate quickly on future streets. A single high card can cut your legs out from under you. Better to play aggressive to push other players out, so you’ll have fewer competitors to worry about later in the hand. Pay attention to the other players’ upcards. Those cards will help you calculate the odds of getting the cards you need in later streets. If the field is littered with low upcards, that should tell you that your chances of pulling a low card are slim.